In Phi! !ip L!m’s hands this captivating silk became stunning, embellished skater dresses that were snapped up at lightening speed. I was very lucky to get this piece. It arrived the afternoon I visited a particular garment city shop. There was only this one length, and I understand that was all that ended coming out of the studio. This image shows the fabric in the store in NY. 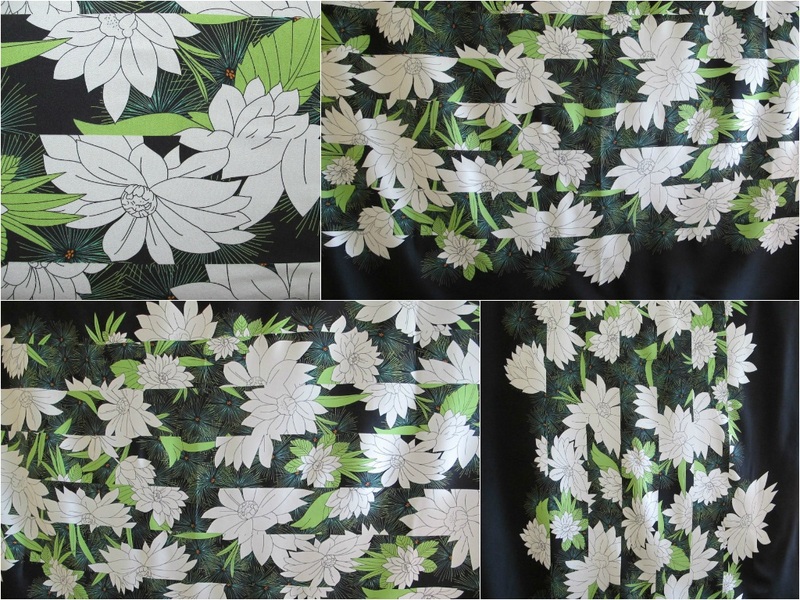 You can see that the strip of white Chrysanthemums and leaves runs the length of the fabric. In the dresses, these have been reoriented to run horizontally across the midriff. 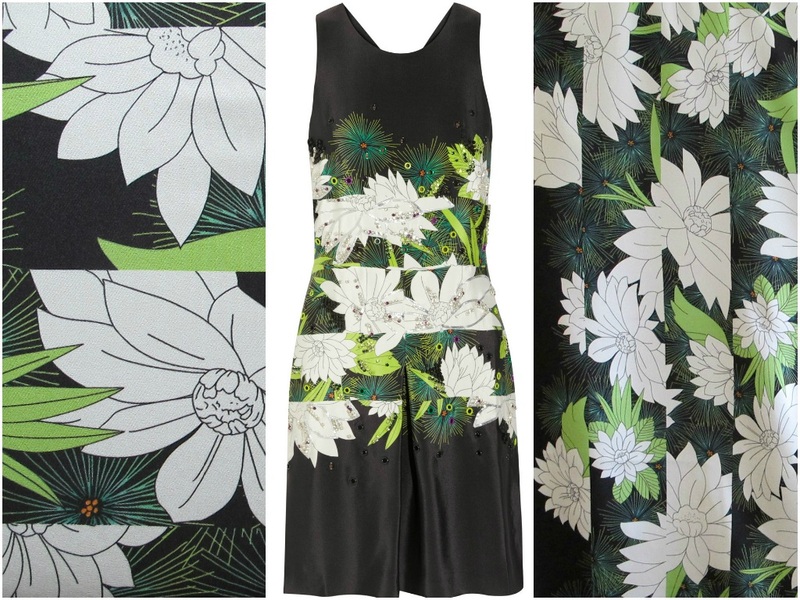 Interestingly, this silk has been fully fused with a very lightweight stretch fusible fabric. The silk is a substantial one (brain drain tonight, but it is the silk that sells for $50+ a metre) but obviously to get the skater skirt effect an even more substantial fabric was desired. So be aware that this piece comes ready-fused. But I can really recommend the result here, and seeing how this has been done offers me ideas for some of my other fabrics too. 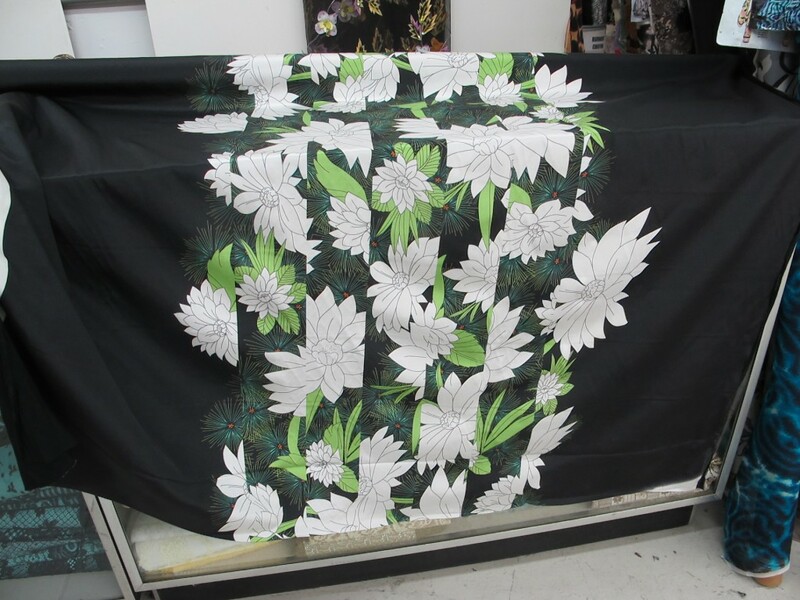 This silk piece measures 145cm x 1.8 metres. The price is $45 a metre/$81 for the piece. These dresses sold for nearly $2,000; they truly were a real designer item. I will need to post this in the medium satchel (with tracking) at $13.40. Please see here for full details on payment and posting. If interested, please click on the email below; fabric details will appear automatically and I will get back to you asap. (Australia delivery only thanks).